The single was released in 1972 and reached number 5 in the US Billboard Hot 100 chart and number 26 in the Dutch Top 40. 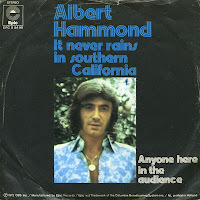 Albert Hammond was born in London on May 18, 1944. He is one of the more successful songwriters to come out of England during the Sixties and Seventies, and has also enjoyed a long career as a recording artist. One of his hit singles is the 1974 track 'Air disaster'. It appeared regularly on the radio in the Eighties as a 'golden oldie', which is how I found out about this song. I bought this single at the first opportunity. 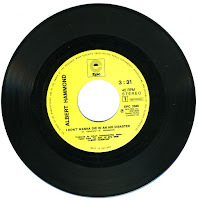 Perhaps I shouldn't have: in more recent years I have seen this single with a picture sleeve.